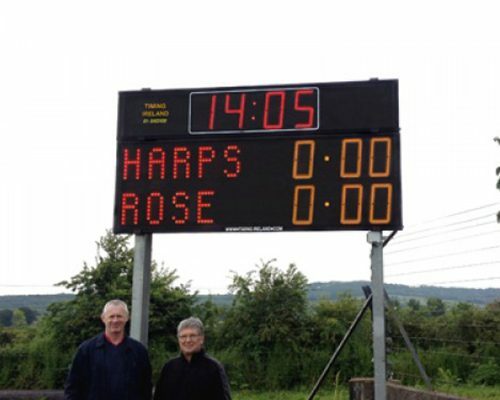 LED GAA Scoreboard for hire. 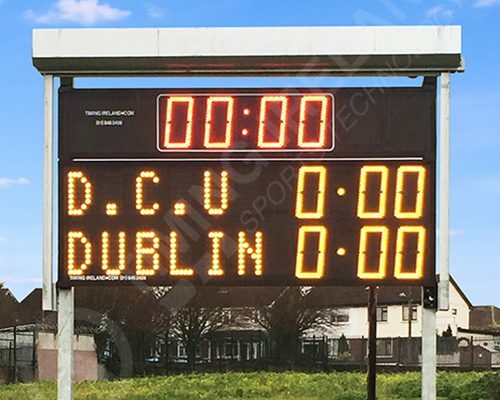 Large GAA scoreboard with ultra bright LED scoring digits, goals & points, home & away. 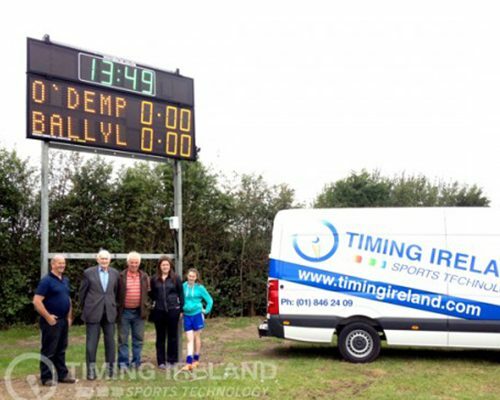 GAA Scoreboard hire includes LED game clock. 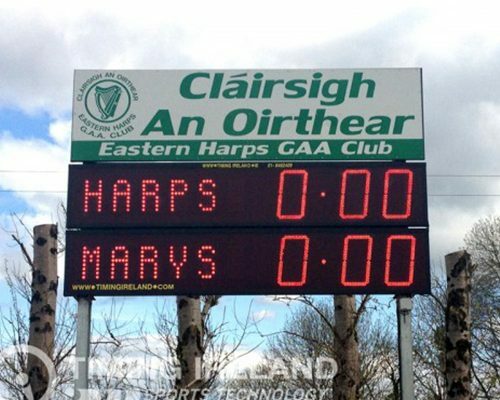 Clock can count up or down. 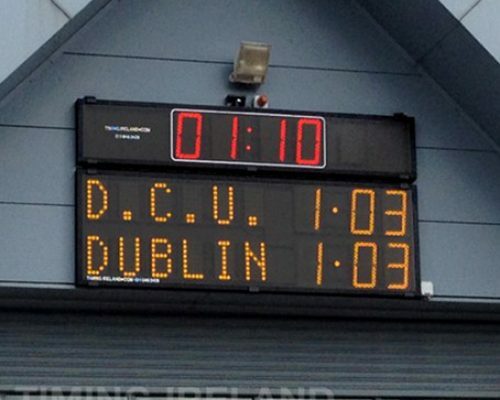 Sticker names of Home & Away. 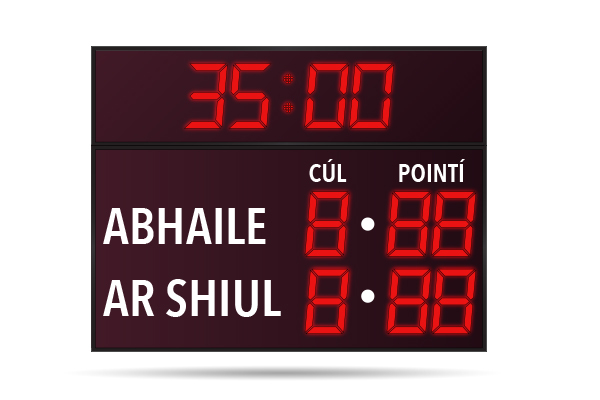 GAA Scoreboard is controlled wirelessly with remote control and is easy to use. 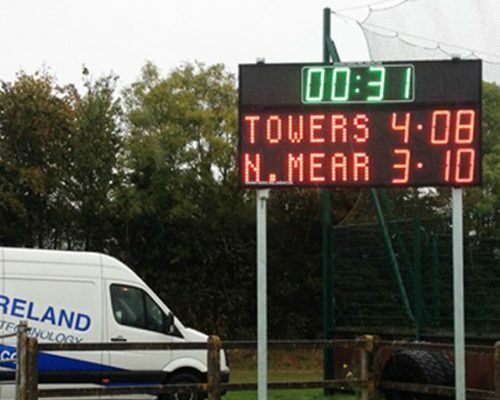 Contact us today for more information on our GAA Scoreboard Hire.